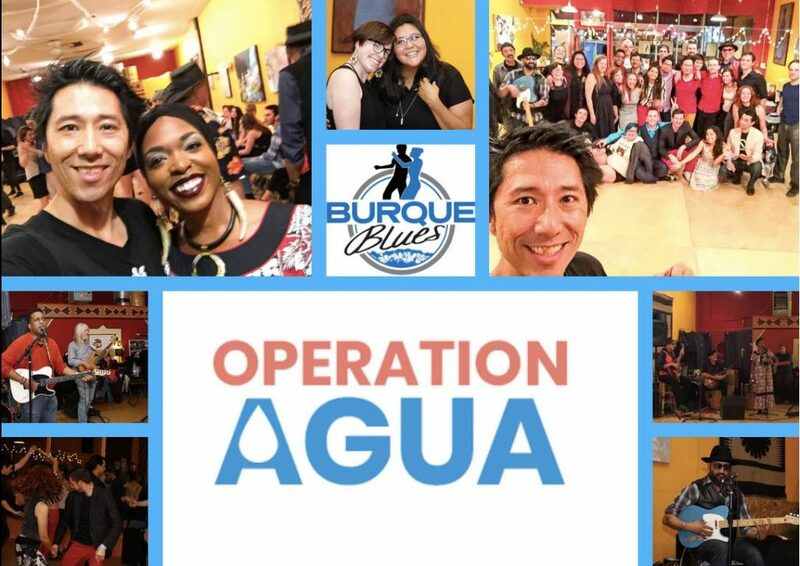 Puerto Rico Operation Agua raised $1,500! I am blown away with the generosity and support of our community for our fellow Americans in Puerto Rico. The amount raised far exceeded my expectations. We had around 100 people participate in our fundraiser dance event on November 10th, which included three live music acts, breathtaking spoken word, raffle, homemade tacos, and plenty of dancing, laughter, smiles, and giving. I absolutely loved the diversity we had at our dance. Dancers, blues music fanatics, and even friends (and friends of friends) just stopping by to drop off a donation and say hi were present. I want to give a big shout-out to my staff and volunteers who help make this possible: Ashley, Camilla, Shelby (who gave a heartfelt talk about her families experience in Puerto Rico), Laura, Gesher, Leandra (thank you for volunteering and bringing your friends), GT, Racquel (who made the delicious tacos! ), Aaron (helped setup AND provided beans! ), John Mercado (our talented photographer), Miles and Sean (taught the lesson, and Sean also DJ’d), and Jessica (who provided emotional support and much needed supplies and water). This event would not have been complete without amazing music and entertainment. I want to give a big thanks to Chris Rodriguez, who lent us his PA system and also put together his band (Kimochi ii) in literally 30 minutes- and his band donated their time to the event, which allowed us to put more money towards the fundraiser. Another music act that donated their time was Joe and Hoodoo Los Sipe! Not only did they work their magic in the first set, but also provided incredible ambient music for Ebony. Speaking of Ebony Isis Booth— everyone was captivated by Ebony’s magical words. She wowed the audience as she spoke the #truth with her #realtalk, and helped raise awareness to the situation we have in Puerto Rico right now. Not only that, she surprised me by singing Blues for Mama!! Last but not least, a big shout out to Dos Gatos (which later became Tres Gatos when Jeff joined them on bass!) Gato Malo Felix and D.B. Gomez speedily (and safely I’m sure!) drove down from Los Alamos after a gig and capped off this wonderful night with a delicious set of slow groovy Blues. For our raffle, we had gifts from local people in our community. A big thanks to the following wonderful people: Kristina Vincenty, GM of 5 Star Burger, donated two $25 gift cards. Diego of Guava Tree Cafe donated a meal for two. Lita Sandoval donated beautiful set of Frida earrings and pin. We also had an Amazon Echo Dot for the raffle which I donated. Guerrilla GraphiX donated tons of t-shirts. 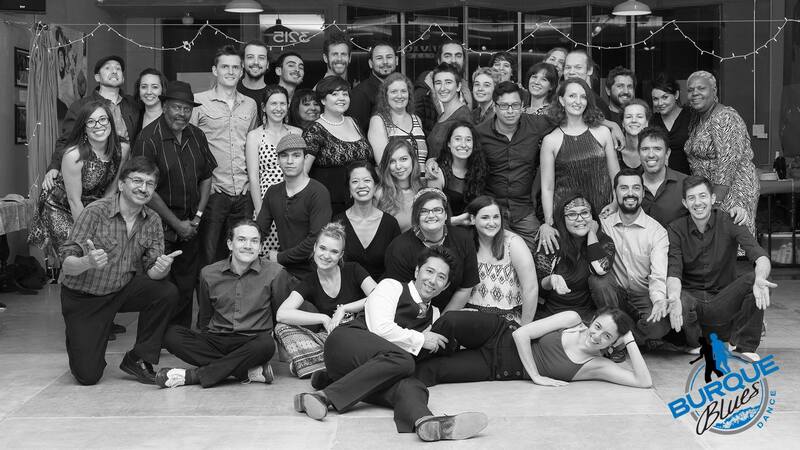 Romy Keeganof Maple Street Dance Space – ABQ also helped offset some of the costs of renting the space. And, we had an anonymous sponsor that helped with additional expenses which allowed us to bring the grand total to $1,500!! THANK YOU.